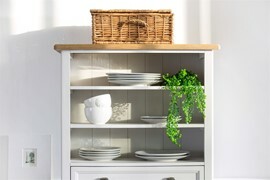 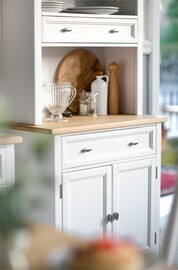 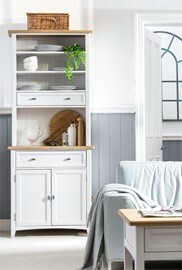 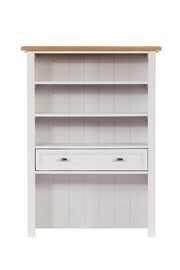 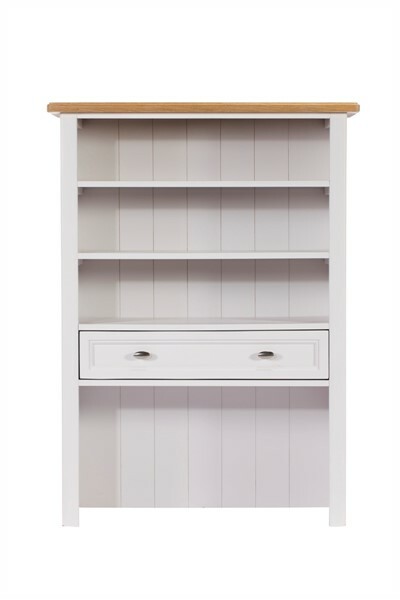 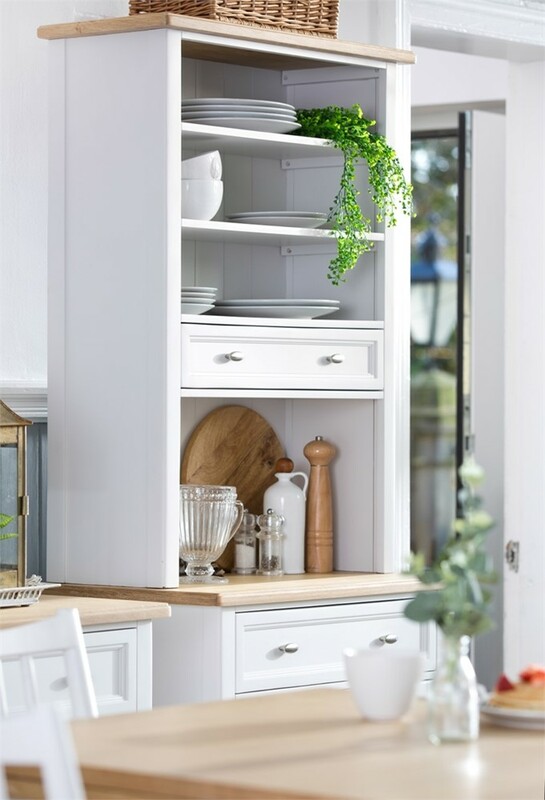 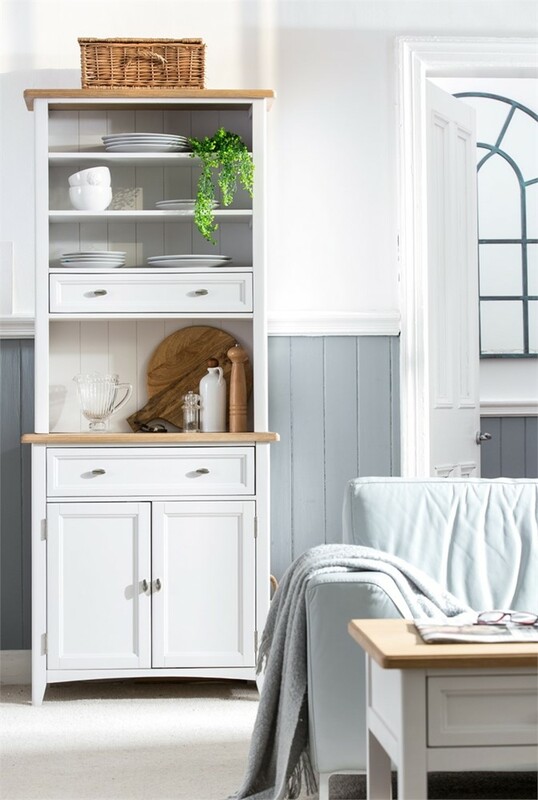 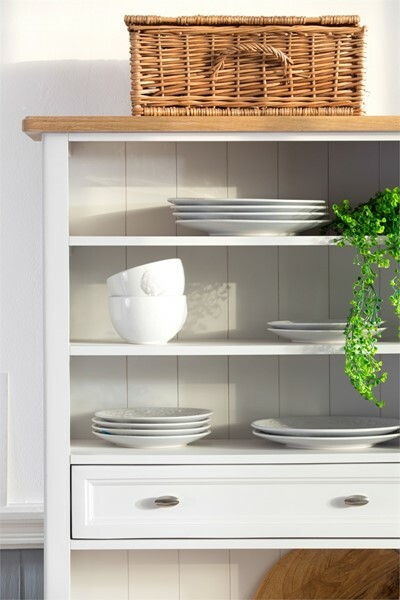 Grasmere Dining Furniture - Complete Narrow Dresser- last one available! 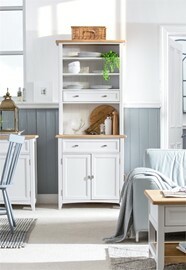 (Narrow Sideboard + Narrow Dresser Top) last ones available now 50% off! BRITISH DESIGNED A unique mixture of contemporary and classic design. Make a statement with British design and quality. 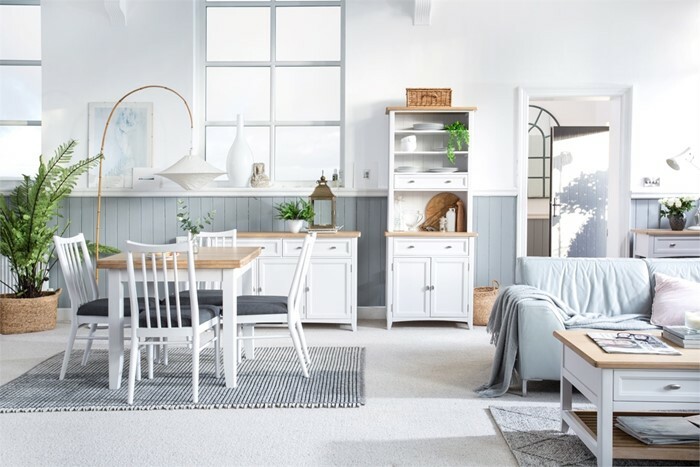 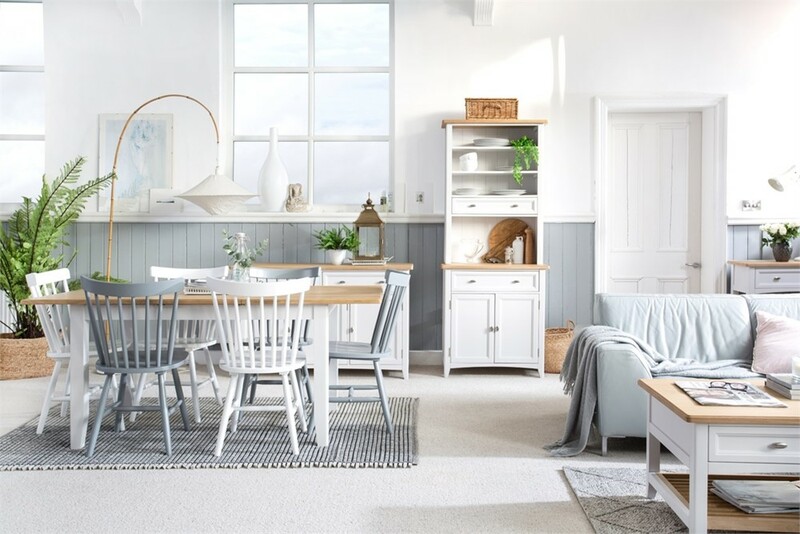 HAND FINISHED Relaxed and casual range combining real oak veneered tops with beautifully painted soft white bodies. 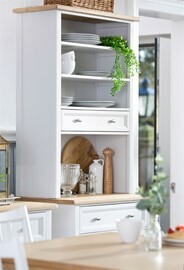 EXTENSIVE RANGE With 11 different pieces to choose from you can create your own beautiful combination. Grasmere Dining Furniture - Upholstered Dining Chair "
Grasmere Dining Furniture - 85cm-170cm Flip-Top Dining Table "
Grasmere Dining Furniture - 140cm-180cm Extending Dining Table "
Grasmere Dining Furniture - Wide Sideboard 135cm wide "
Grasmere Dining Furniture - Narrow Sideboard 80cm wide "
Grasmere Dining Furniture - Narrow Dresser Top 80cm wide "
Grasmere Dining Furniture - Console Table "
Grasmere Dining Furniture - CoFfee Table "
Grasmere Dining Furniture - Lamp Table "
Grasmere Dining Furniture - Nest of Tables "
Grasmere Dining Furniture - TV Unit "